Abstract: This paper firstly presents the basic principle of InSAR techniques in monitoring surface deformations. Then, the existing InSAR-based approaches for retrieving mining-induced 3D displacements are classified, and their technique features and application scopes are also analyzed. Subsequently, the research progress of InSAR-based 3D deformation prediction of mining areas is demonstrated. Finally, some potential research topics in retrieving and predicting mining-induced 3-D displacements using InSAR, such as integrating multi-source data and the analysis of mining subsidence mechanism, are demonstrated. 何国清, 杨伦, 凌赓娣, 等. 矿山开采沉陷学[M]. 徐州: 中国矿业大学出版社, 1991. HE Guoqing, YANG Lun, LING Gengdi, et al. Mining subsidence science[M]. Xuzhou: China University of Mining and Technology Press, 1991. CARNEC C, DELACOURT C. Three years of mining subsidence monitored by SAR interferometry, near Gardanne, France[J]. Journal of Applied Geophysics, 2000, 43(1): 43–54. 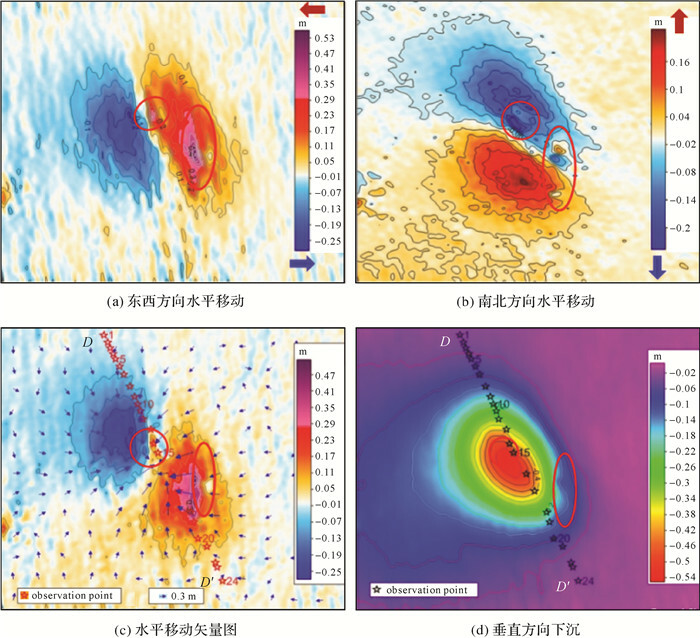 GE Linlin, CHANG H C, RIZOS C. Mine subsidence monitoring using multi-source satellite SAR images[J]. Photogrammetric Engineering & Remote Sensing, 2007, 73(3): 259–266. 吴立新, 高均海, 葛大庆, 等. 工矿区地表沉陷DInSAR监测试验研究[J]. 东北大学学报(自然科学版), 2005, 26(8): 778–782. 杨泽发, 朱建军, 李志伟, 等. 联合InSAR和水准数据的矿区动态沉降规律分析[J]. 中南大学学报(自然科学版), 2015, 46(10): 3743–3751. 尹宏杰, 朱建军, 李志伟, 等. 基于SBAS的矿区形变监测研究[J]. 测绘学报, 2011, 40(1): 52–58. YIN Hongjie, ZHU Jianjun, LI Zhiwei, et al. Ground subsidence monitoring in mining area using DInSAR SBAS algorithm[J]. Acta Geodaetica et Cartographica Sinica, 2011, 40(1): 52–58. HANSSEN R F. Radar interferometry:data interpretation and error analysis[M]. Dordrecht: Kluwer Academic, 2001. 汪云甲. 矿区生态扰动监测研究进展与展望[J]. 测绘学报, 2017, 46(10): 1705–1716. 张勤, 黄观文, 杨成生. 地质灾害监测预警中的精密空间对地观测技术[J]. 测绘学报, 2017, 46(10): 1300–1307. 朱建军, 李志伟, 胡俊. InSAR变形监测方法与研究进展[J]. 测绘学报, 2017, 46(10): 1717–1733. 廖明生, 林珲. 雷达干涉测量:原理与信号处理基础[M]. 北京: 测绘出版社, 2003. LIAO Mingsheng, LIN Hui. 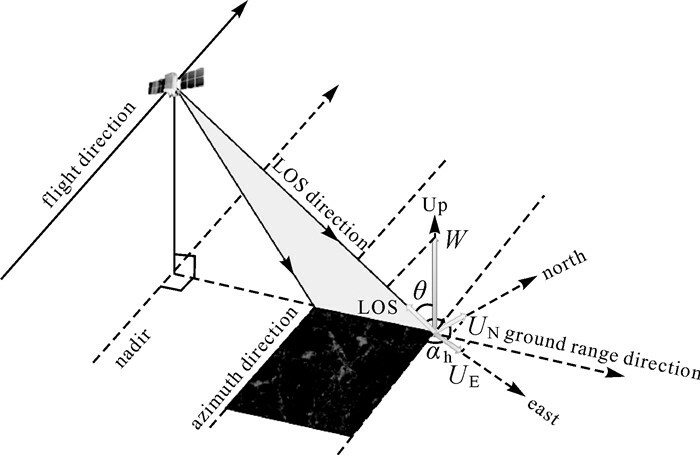 Synthetic aperture radar interferometry[M]. Beijing: Surveying and Mapping Press, 2003. HOOPER A, BEKAERT D, SPAANS K, et al. Recent advances in SAR interferometry time series analysis for measuring crustal deformation[J]. Tectonophysics, 2012(514-517): 1–13. CHEN Bingqian, DENG Kazhong, FAN Hongdong, et al. Combining SAR interferometric phase and intensity information for monitoring of large gradient deformation in coal mining area[J]. European Journal of Remote Sensing, 2015, 48(1): 701–717. HU Jun. Theory and method of estimating three-dimensional displacement with InSAR based on the modern surveying adjustment[D]. Changsha: Central South University, 2013. 祝传广, 邓喀中, 张继贤, 等. 基于多源SAR影像矿区三维形变场的监测[J]. 煤炭学报, 2014, 39(4): 673–678. ZHU Chuanguang, DENG Kazhong, ZHANG Jixian, et al. Three-dimensional deformation field detection based on multi-source SAR imagery in mining area[J]. Journal of China Coal Society, 2014, 39(4): 673–678. PENG S S. Surface subsidence engineering[M]. Metallurgy: Littleton Society for Mining, 1992. FROESE C R, MEI Shilong. Mapping and monitoring coal mine subsidence using LiDAR and InSAR[R]. Ottawa: Canadian Geotechnical Society, 2008: 1127-1133.